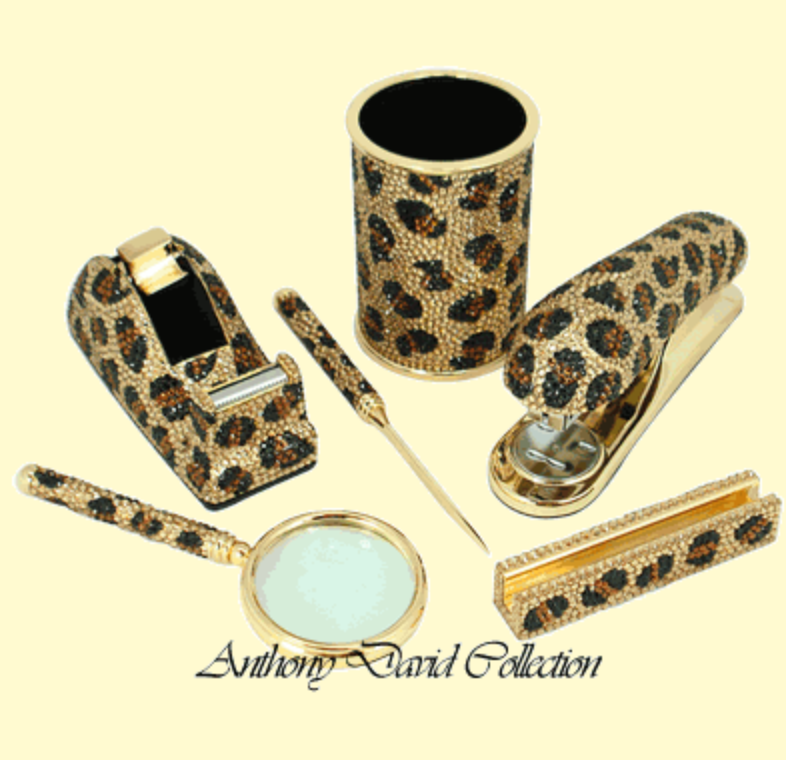 This luxurious six piece Anthony David executive desk set is fully covered with Swarovski crystals and makes the perfect gift to show that special lady just how proud you are! This is the ultimate in luxury and is surely to be a conversation piece for any office. For a complete and detailed list of what is included with this set, see the “Features” tab. Each piece is covered with Swarovski crystals. Each piece is made with a solid durable Metal frame. Spare crystals included for each piece. Pen and pencil cup (3 5/8″ tall by 2 1/2″ wide). Tape dispenser (4 1/2″ long by 1 5/8 tall by 2″ wide). Stapler (5 1/2″ long by 2 1/2″ tall by 1 3/8″ wide). Business card holder (3 1/8″ long). Magnifying glass (5 1/2″ long by 2 1/4″ wide). Check out the complete Anthony David Executive Gifts Collection for an array of gift ideas to show that special lady just how proud you!